Labour’s share of the vote fell in all three council by-elections yesterday as the Tories held on to wards or made gains. The Lib Dems increased their support in towns in Hertfordshire, Leicestershire and south-west England as Labour followed slipped back again following a net loss in last week’s polls. Labour saw their vote decline in council wards in Welwyn Hatfield, Harborough and Bath and North East Somerset on a night when the Tories held two seats and gained one from the Greens. The results, collated today by Britain Elects, will come as a disappointment as the Tories continue to flounder in Westminster, over their failure to set out a plan for Brexit, and appear to bicker over how to build links with the US president-elect Donald Trump. 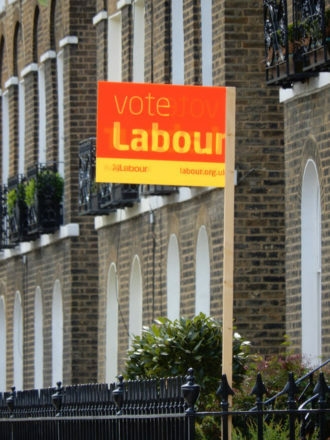 In last week’s council votes Labour lost a ward in Greenwich, London, where they were edged out by the Tories, but held its seats in Wandsworth, London, and North Hertfordshire. Labour’s performance in council and Commons by-elections has been closely scrutinised since the election of Jeremy Corbyn. The party has suffered surprise defeats in council wards in Stockton and Sheffield but held parliamentary seats in Sheffield Brightside and Oldham West and Royton. It also won the London mayoralty comfortably.